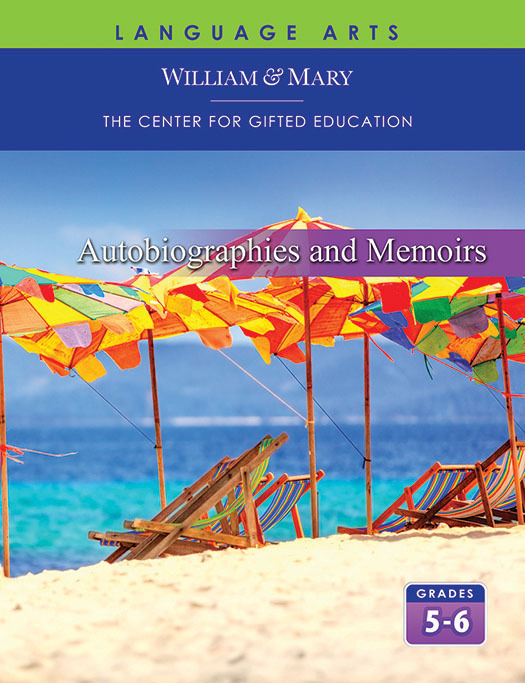 In this unit, students in grades 5–6 study the concept of change by reading autobiographies of writers and by looking at change in the lives of writers and other artists. As they examine life stories and self-portraits, they study literature and examine works of art from various cultures. In order to gain insight into the development of talent, students are encouraged to explore their own identities as talented learners through discussions, research, oral presentations, and reflective writing. Autobiographical writings from authors including Beverly Cleary, Eloise Greenfield, Isaac Singer, and Lawrence Yep are explored.